Welcome to the Autumn edition of the Unique Home Stays Owners� newsletter. If I could pick just one word to summarise the last three months, it would be GOLDEN. Between July and September, the Unique Home Stays website and mobile site attracted 4.6 million page views from almost half a million users. 58% of our website visitors came via an organic online search, whilst our second most popular channel for user acquisition was through online referrals, accounting for 16% of all website traffic to the site � that�s over 91,000 individuals who found Unique Home Stays via a featured piece of online press. Our new e-mail marketing (newsletter) tactics brought 40,000 people to the site over the three months too (which is a 67% increase on last year) and 24,000 came via our social media channels (an 89% increase on the same timeframe last year). This quarter we have invested more than ever into our marketing, already proving to be very successful. Our average occupancy rate during the period was an impressive 83%. Alongside this, we saw a 14% increase in bookings confirmed against the same quarter last year, as well an 11% increase in advanced bookings. We had another record-breaking quarter for press, with over 50 pieces of online editorial along with 26 in-print features. Highlights included a big feature and cover of Coast magazine, plus pieces in The Telegraph, Grand Designs, Conde Nast Brides and The Sunday Times Ireland. It has been a stellar three months for stand-out new property arrivals too. 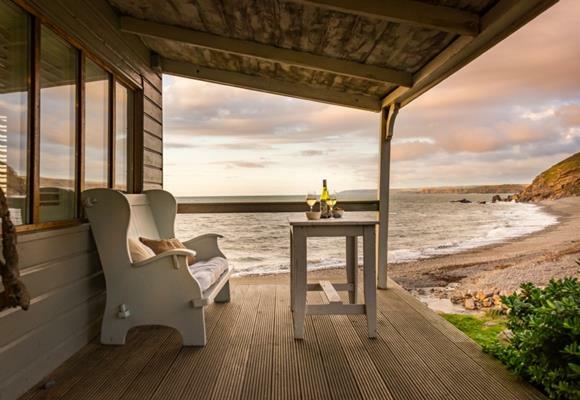 Since the end of June we�ve welcomed Sea Sentry, Charity, Guinevere, Hawkhurst?, Little Scarlet, Darcy House, Aquila, Seraphina, Islander, The Wilds, The Found, Tickety-Boo and The Stack to the exclusive portfolio of hand-picked homes � we hope you love them as much as we do. All of this was topped-off with a �Goldrush� themed party at one of our newest additions, The Stack last weekend. The merry gathering of staff and owners celebrated 15 years of business and paid homage to our brilliant director, Sarah. 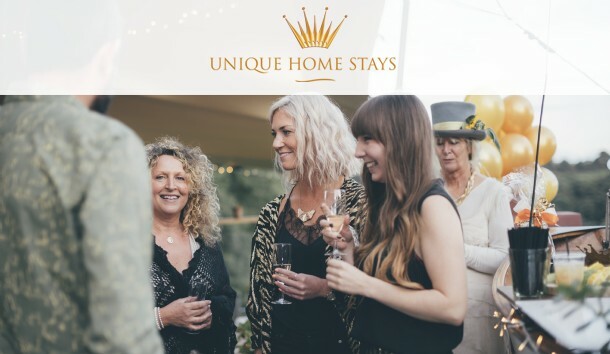 In true Unique Home Stays fashion, there was live music, canap�s, Prosecco on tap and plenty of fun had by all. Thank you to all of you who made the journey into deepest Poldark country to join us, especially those who travelled from afar, including London, The Cotswolds and even Germany. We�ve included a selection of party pics on the blog and hope to see even more of you next time. This quarter the highest occupancy levels were obtained by ten properties which each achieved an unbeatable 100% of days booked. These were The Beach Hut, The Bay, Clapper Bridge Cottage, The Boat House, The Edge, Mackerel Skies, Prairie De Gorge, The Raven, Beauport Cottage and Moontide. 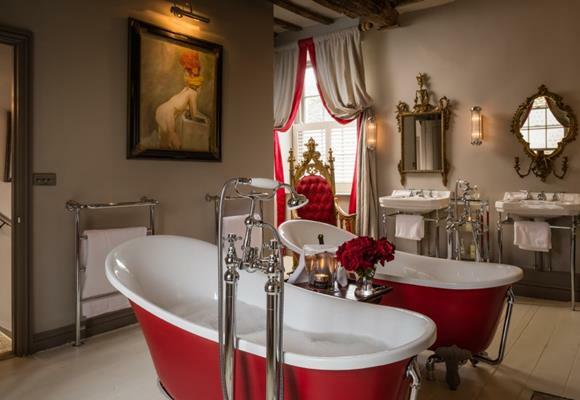 Rural-glam Cotswolds cottage Little Scarlet was crowned the winner for acquiring the most confirmed bookings this quarter (July - September), closely followed by Charity, Little Bear, Sea Sentry, Huckleberry, The Edge, Dragonwood Boat House, Delphin, The Creamery and Rydon. Following the launch of our Unique Home Stays Owners Home Swap scheme earlier this year, we have already organised three property exchanges and hope more of you will take up the opportunity to stay in each other�s prized homes. To use, simply log in to your owner's area and click �home swap� from the right-hand menu. ?Oh and don't forget to send us a postcard! Here's what Filly Island owner Mouse had to say about her recent 'The Holiday'- style stay. "Loving the home swap idea. I swapped Filly Island with the cutest button of Sweetpea, a dinky little cottage in Cornwall. All very cosy and delightfully put together as well as dog-friendly. It was a lovely hop skip and a jump in the car to some fabulous dog-friendly beaches". Along with the UK�s efforts to be more green, we have noticed that many Councils have changed their refuse collection arrangements. This now varies widely across the UK and therefore arrangements at your home are unlikely to be what your guests are used to. Whilst we do expect guests to manage the refuse created during their stay, with a fortnightly cycle in many regions, there can be an overlap from previous guests and (in the name of luxury) we can neither expect guests to account for this nor pay charges for clearance of waste. In order to provide clarity for each guest, we would encourage you to confirm that the refuse and recycling instructions are correct in your Digital Property Guide. Briefing guests on the arrangements during check-in is also advisable, if possible. We hope this will help limit the impact of excess waste and alleviate confusion for guests, allowing them to get down to the real R&R. When Catherine was on a very important property visit and roped into helping the owner find her missing tortoise. After a good time spent groping through the wilderness-inspired garden, Catherine emerged victorious; heels buried in the riverbanks and hands clutching the little pet reptile.